When it comes to my pets, I treat them as family, because that's what they are to me. So, it's no surprise that I will only feed them food of the highest quality and AvoDerm is one of those brands! 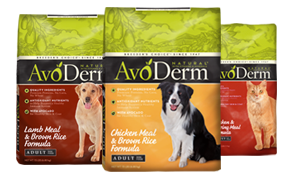 In fact, AvoDerm Natural premium dog and cat food formulas are packed with meat proteins, omega 3 and 6 fatty acids, and other important nutrients that your pets need everyday! A clear indication of improper diet is the condition of your pet's skin and coat. The whole reason AvoDerm has "avo" in it is from the Avocado, a fruit that's packed with all of the necessary ingredients to make a healthy, happy, beautiful dog or cat! 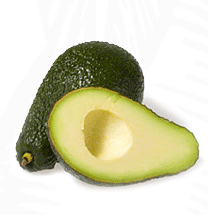 Have you heard of the AvoDerm Challenge? It's a challenge for pet lovers to see a softer and shinier coat in only 6 weeks guaranteed!! Oh, and not only can your pet get a nicer coat, but everyone that signs up for the AvodDerm Challenge gets a $5 coupon and an entry in AvoDerm's sweepstakes where you can win a year's supply of AvoDerm! Think of how much money that can save you in just a year, especially if you are an owner of multiple pets! You'll also be asked to rate the shine, softness, and overall quality of your pet's coat at the current time. When you submit the form, you'll not only be signed up, but you'll gain your entry into the sweepstakes, AND you'll receive a $5 coupon off your next purchase of AvoDerm. And in the meantime be sure to connect with AvoDerm on Facebook and on Twitter to keep up to date with the brand and learn more about the benefits of their food. Good luck and keep me updated if you are participate in the challenge! Stella will be!